It’s that time of year again, where festive times take over. ‘Tis the season to be jolly, eat lots of holiday food, and visit family and friends. This season maybe the most hectic time of the year, but this doesn’t mean we have to let go of our fitness routine. I’m certain my wife it tired of the usual cycling and training conversations from the year, keen to get some solid family time. The great news is there is now reason why you can’t both enjoy Christmas and keep up the momentum into the new year. Here in Singapore, we are in a rare situation. The haze of 2015 meant that the majority of races were postponed into 2016, making the February to April time a hectic double season. Yes, most of us are keen to continue to train through. Even the weekly Crazies ride remains strong. How do we keep up then? I had some great conversations with various people over the past few weeks. And here is the summary of staying ‘tuned’ for Christmas. 1. Plan your training: I already know that when December comes in, I will have to squeeze time preparing for the holiday season, on top of my regular schedule. This happens every year and the best way to deal with this is to plan ahead. I put in a weekly schedule of when I can train, making sure that it is one of my top priorities. Maybe even plan in some exercise that you can do with the family. 2. Think outside the box: Not everything goes as planned. There will be unexpected circumstances where we just can’t follow our schedule. This is where we have to think creatively. I use every chance to get out there on my bike – buying gifts, getting holiday paraphernalia, and seeing family and friends. 3. Take in nature: Another thing I take advantage of is when I’m on holiday or out of town. If possible, I make sure to bring my bike and use it to explore my surroundings. It is a great way keeping myself in shape and at the same time connecting with nature. I’m not saying every situation is ideal for your bike, but take advantage of the chances you get. Christmas is also the time of year that a large percentage of new bikes hit the roads. 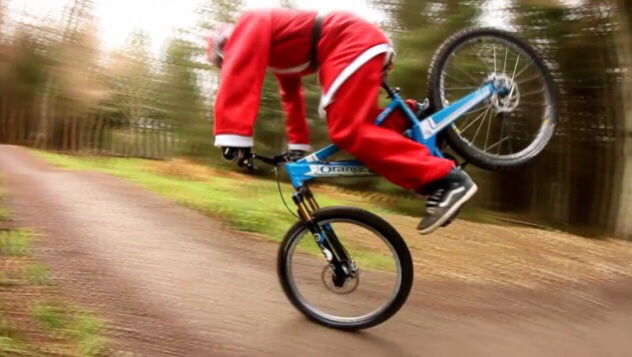 Find some time to celebrate two wheels with those that find themselves lucky enough to have Santa bring them a new bike. 4. Invite people in: What better way to keep yourself motivated during the holidays? Ask people to join you. Either in a race or competition, or even starting a fitness tradition with your family will definitely keep you pedaling forward. 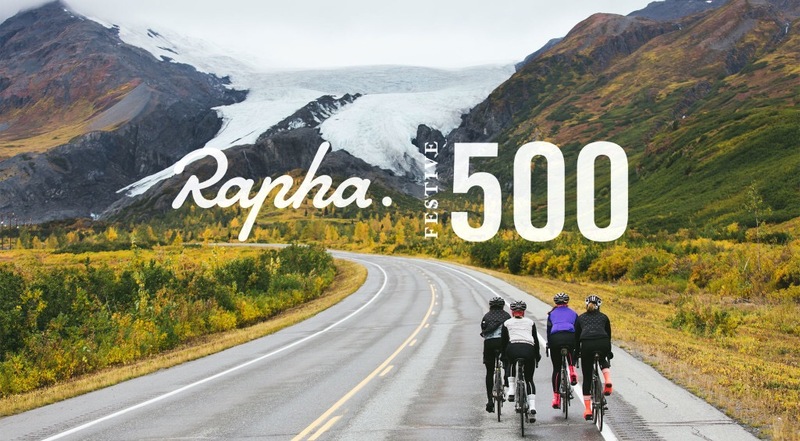 Over the Christmas period, I’ll do the Rapha Festive 500 with the Rapha Singapore crew. Doing things in a group, always make it more enjoyable. With the Rapha crew, I’ll do 500 kilometers between Dec 24th and January 1st, pushing my annual numbers close to 12,000 kilometers for the year. 5. Indulge and resist: Lastly, enjoy! It is, after all, the festive season and indulging yourself with that holiday ham and sweets are okay as long as you do it in moderation. I’ve had several guys suggest staying off the scales, and just enjoy Christmas. Sounds like a good idea. Put those training stresses aside for the week. Hope these tips are helpful for you to keep yourself fit and ready to take on the holiday seasons and the coming year! No doubt I’ll have to do a post on setting New Year goals, so let me know what your goals for 2016 are. Reblogged this on Kelea Quinn.